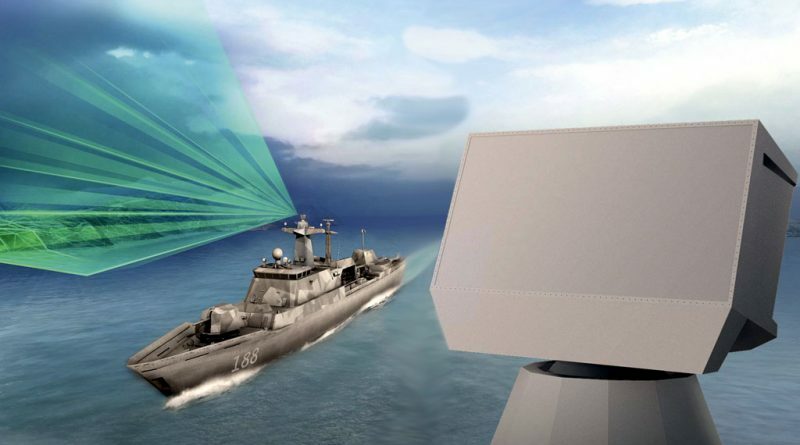 Ulm/Germany, 13 February 2019 – HENSOLDT, the leading independent sensor house, will equip the second batch of the German Navy’s K130 corvettes with its TRS-4D Rotator naval radar and its MSSR 2000 ID friend-or-foe identification system (IFF). The company was awarded a corresponding order for seven systems of each type from the German procurement authority BAAINBw, which are to be delivered by 2022. “With the TRS-4D, the corvettes will be given an extremely powerful radar system which has already proven its capabilities, especially in the difficult environment of coastal waters,” said HENSOLDT CEO Thomas Müller. The TRS-4D is already being used on board the new F125 frigate, in a configuration comprising four fixed planar arrays. 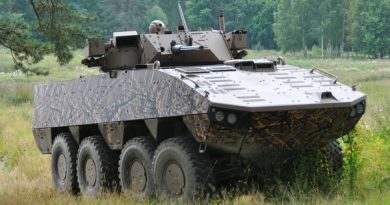 Moreover, HENSOLDT has previously equipped the first K130 batch with its TRS-3D radar. For the second batch of five ships, the TRS-4D has now been ordered to be supplied in a version comprising a mechanically rotating antenna (TRS-4D Rotator), which, for example, is also under contract for the U.S. Navy’s littoral combat ship (LCS). This radar system is part of a family of products which also include a ground-based air defence radar, TRML-4D, and thus benefits from continuous product improvements and advantages with regards to spare part management and training. The TRS-4D has been designed to be used for anti-aircraft and anti-surface operations. Its rotating antenna combines mechanical and electronic azimuth scanning, which allows targets to be detected and tracked very quickly. Thanks to the increased sensitivity of the radar system’s AESA technology it is possible to detect small and manoeuvring targets more precisely and to confirm the targets more quickly, which means that the ship crew has more time to respond to threats. As the system’s characteristics can be defined via its software, the radar can be specifically programmed and its parameters set according to the customer’s requirements and can also be adapted to any new or modified threats that may arise over the useful life of the ship. The system also includes an MSSR 2000 I secondary radar for friend-or-foe identification (IFF), which complies with all IFF standards, even the latest “Mode S / Mode 5”. At present, all NATO troops and their allies are in the process of converting their IFF systems to Mode 5 as this standard is required for joint operations with NATO and other allied forces.